In 1940, David Sparsholt arrives at Oxford to study engineering, though his sights are set on joining the Royal Air Force. Handsome, athletic, charismatic, he is unaware of his powerful effect on others—especially on Evert Dax, the lonely and romantic son of a celebrated novelist who is destined to become a writer himself. With the world at war, and the Blitz raging in London, Oxford exists at a strange remove: a place of fleeting beauty, of secret liaisons under the cover of blackouts. A friendship develops between David and Evert that will influence their lives for decades to come. Alan Hollinghurst is the author of the novels The Swimming-Pool Library; The Folding Star; The Spell; The Line of Beauty, winner of the 2004 Man Booker Prize and a finalist for the National Book Critics Circle Award; and The Stranger’s Child. He has also received the Somerset Maugham Award, the E. M. Forster Award of the American Academy of Arts and Letters and the James Tait Black Memorial Prize for Fiction. He lives in London. “Gorgeous . 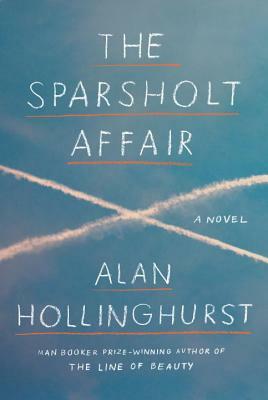 . . To read Alan Hollinghurst is to encounter beauty in its many forms. There’s the beauty of the sentences—Jamesian, somehow intensely shaped and effortlessly supple. There are beautiful characters…beautiful houses, beautiful paintings, beautiful poems. Hollinghurst is a wicked satirist and a delicious plotter, but I most admire the seriousness with which he takes beauty—its relationship to pleasure and power, secrecy and love. David Sparsholt and his beauty serve as the plot’s engine—the Chekhovian gun that you know will go off. And it does. [There is] sharp insight about time and loss, sharply expressed.” —Anthony Domestico, San Francisco Chronicle.